Whether you need short-term storage solutions before your products are delivered to the customer or are looking for a long-term warehousing and distribution relationship, Booth Movers is the premier choice to handle all of your New Jersey logistics needs! Booth Movers is proud to offer our commercial customers comprehensive warehousing, distribution, and commercial storage solutions. Our modern 32,000-square-foot facility is climate controlled and equipped with 24/7 video surveillance and alarm systems to ensure that your products remain secure and undamaged while in our care. Commercial Storage – With flexible short and long-term storage options, Booth Movers can help your business with professional storage services during your next relocation. Commercial Moving – Regardless of the size or scope of your commercial move, our experienced team of New Jersey moving professionals has the expertise to make it a seamless experience. 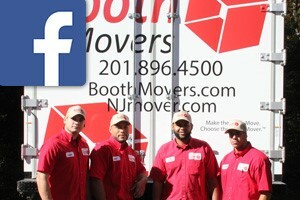 Are you ready to learn more about the New Jersey logistics services that Booth Movers offers? Give us a call today or fill out our simple online form to request your free, no-obligation estimate!